I am honoured to create custom wedding rings for couples. It’s a beautiful experience to spend time with people who are in love. While I work, I imagine infusing the rings as I handle them with all of their love. They will wear these rings every day for a lifetime, but the design of a wedding ring involves more than symbolism. The ring must be comfortable and should fit the finger according to the size, shape and proportion of the individual. I like to take a number of measurements while also learning about the style preferences of both the bride and the groom. The bride’s engagement ring will often help direct the design as well. I can make suggestions appropriate for any budget. Designs for wedding rings are as diverse as the individuals who will wear them. 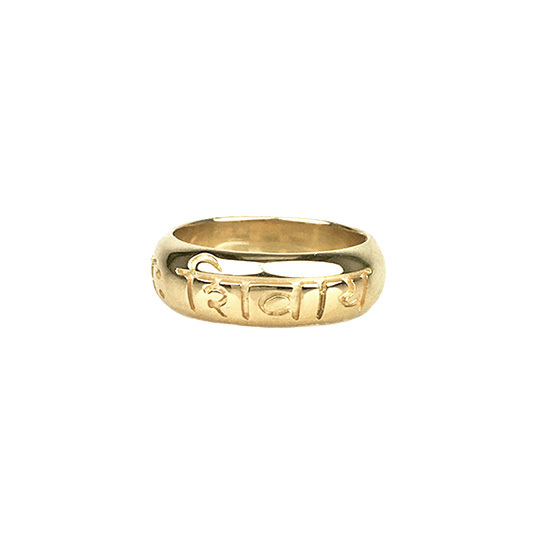 They range from plain, simple, conservative and traditional styles to diamond studded on every surface, enamelled in bright colours, inscribed with words, possibly in the loved one’s handwriting, imprinted with the fingerprint of the loved one, shaped like a puzzle piece that fits perfectly into the loved one’s ring, embellished with multiple surface finishes and patinas, oh my! Wedding rings can be created in white, yellow or rose gold, silver, platinum, or palladium. Gemstones suitable for wedding rings are those high on the Mohs scale, hard enough to withstand wear and to resist scratching. These include ruby, all colours of sapphire, perhaps even alexandrite, and of course diamond, which scores the highest.